Skincare products are not created equally. The ingredients and the quality of the ingredients will dictate how effectively they can treat a number of dermatological conditions. This is why over-the-counter and medical-grade products have such staunch differences when compared to one another. One product is more effective while the other is designed to be “safer” for use by the average person. Other subtle differences exist between over-the-counter and medical-grade skincare products. It is a good idea to explore the benefits of using medical-grade skincare products for treating your skin, as knowing the difference could allow you to have that beautiful, blemish-free skin that you desire. Over-the-counter products are designed to be “safe” by limiting the concentration and type of ingredients that can be used. The FDA typically only allows ingredients that are difficult to use incorrectly, which in turn limits the chances that an individual will experience harm. The problem with this is that it limits how effective products can be. They must rely on additional “inactive” ingredients to achieve similar effects that medical-grade products can. When you use a medical-grade skincare product for your skin, you are receiving the most effective solution for your condition. This carries certain factors that should be mitigated by proper instruction from a professional care provider. Medical-grade skincare products do not need the extras that over-the-counter products typically add. Some of these extras can be dangerous when used incorrectly while trying to make over-the-counter products produce better results. Acne cleansing products, for example, typically have one or more abrasive agents when purchased over-the-counter. These abrasives remove dead skin cells in an attempt to make the active ingredients more effective, but they can cause damage by being used too often. Medical-grade products typically offer the purest form of treatment. Salicylic acids, for example, do not have these abrasive agents. They are strong enough to remove the dull layer of dead skin cells that resides on the outermost portion of the skin. Alcohol is another ingredient that over-the-counter products usually have. This ingredient is designed to remove oil from the face, which in turn makes skin appear cleaner. The problem is that alcohol tends to dry out skin and anything else it comes in contact with. This can result in dry skin, clogged pores and a myriad of undesirable dermatological conditions. It may even result in conditions that require other products to treat. Medical-grade skincare products tend to lack the extra ingredients that consumer-grade products have. They do not need to appear more effective because they utilize ingredients that are objectively better at treating conditions. The extra ingredients in consumer-grade products are designed to stretch the limits of what over-the-counter products can do. 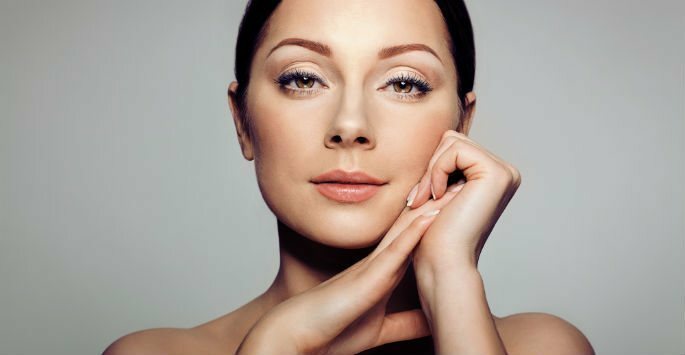 These appearances may cost your appearance dearly, as this can lead to the development of new, undesirable dermatological conditions without the root problems being solved. To learn more about how medical-grade skincare products can make your skin even more beautiful, visit Artisan’s Rejuvenation Med Spa in College Station. Contact us today to schedule your appointment.